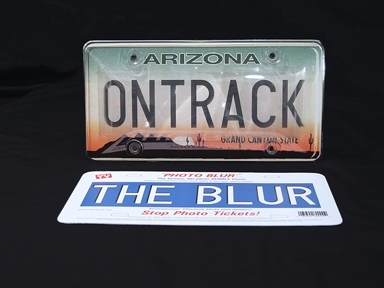 Win back your privacy with the Ontrack Photo Blur anti photo radar and red light camera cover from OnTrack. Block photo enforcement cameras with one cover! 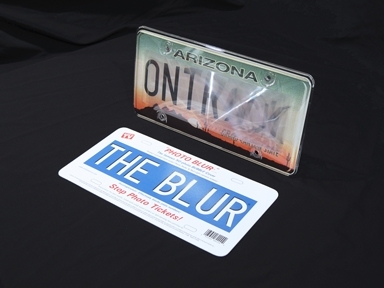 A photo enforcement camera license plate cover that is not as noticeable to other photo blocking plates. How Does the Super Protector Work? Overhead Cameras: Red light cameras and many HOV and toll cameras are mounted at a high elevation looking down toward your vehicle. Side Angle Cameras: Both fixed and mobile speed enforcement cameras are typically on the side of the roadway. As a result of this, the Super Protector was developed with two separate lenses, each one blocking the respective angles of both the overhead and side angle cameras. 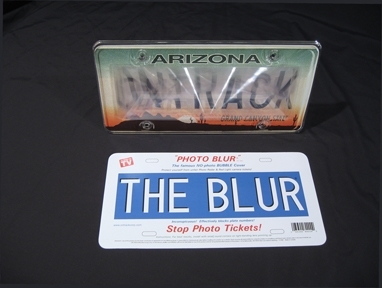 The result is an anti photo enforcement license plate cover that will block both these type of cameras while keeping your license plate completely visible from straight on. Proven defense against all photo enforcement cameras including: photo radar, red light camera, HOV cameras, toll cameras and more. Protects your privacy from unwanted photo enforcement, security and other types of cameras. How do photo-radar & photo-laser work? Special camera and computer technology combine to photograph your vehicle as you drive by, and record your speed. A ticket is then issued and mailed to you. Radar and laser detectors are ineffective due to the narrow beam width and angle across the road. Even if you do detect the beam, its too late. You're caught! How does the "Photo Blur" work? Photo-radar and photo-laser operate at known angles to the direction of traffic flow. 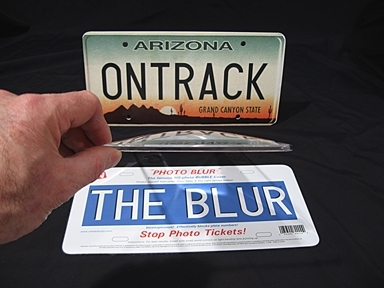 Using a passive, state-of-the-art light-bending lens, the camera is unable to see the plate numbers, and identify your vehicle. The license plate is still completely readable from straight on. Note: Buyer assumes all responsibility for using this product in compliance with local motor vehicle codes. 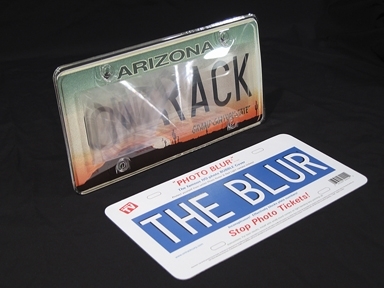 esigned to fit all US, Canada and Mexico license plates, this multi-angle anti-photo license plate cover blocks view of cameras from side and overhead angles. It is economically priced, but just as effective as our Protector line of number plate covers, because it is less stealthy. The "bubble-cover" look enhances the light-bending effect, to create nice looking and highly-effective protection for your car. Guaranteed unbreakable. Are these covers legal to use? Several states including Colorado and Washington D.C. have laws prohibiting the use of any device that can defeat photo camera enforcement.